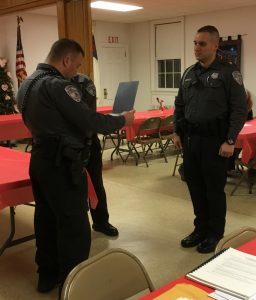 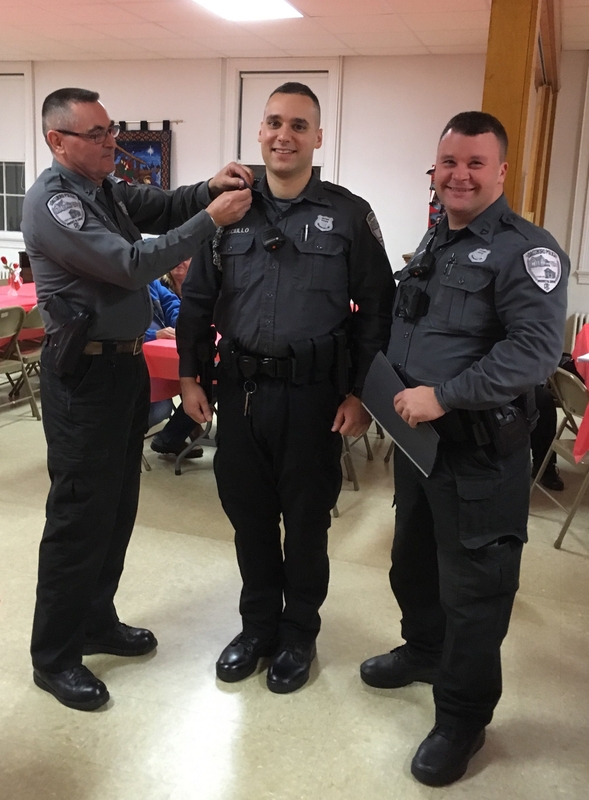 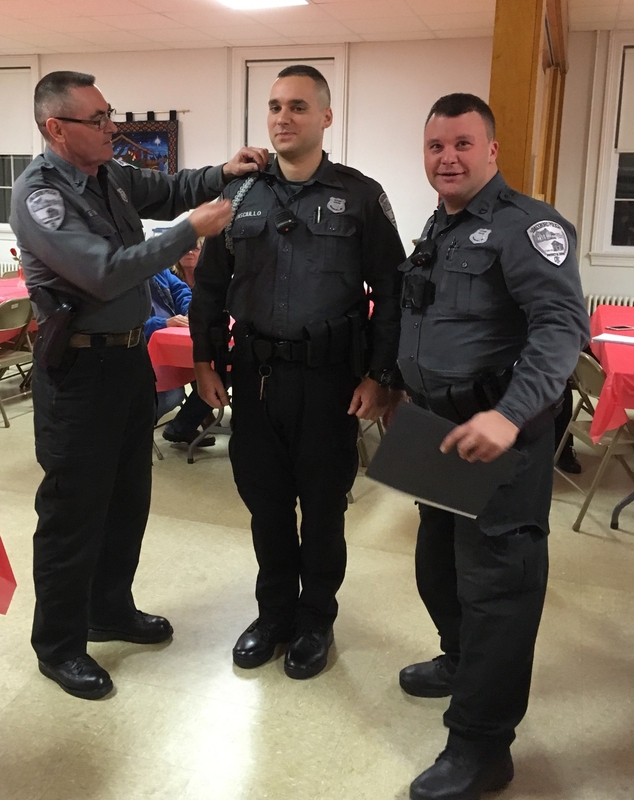 At the January 28, 2019 Town Council Meeting, Dagsboro Police Department awarded Officer Disciullo with the Expert Officer Cord. 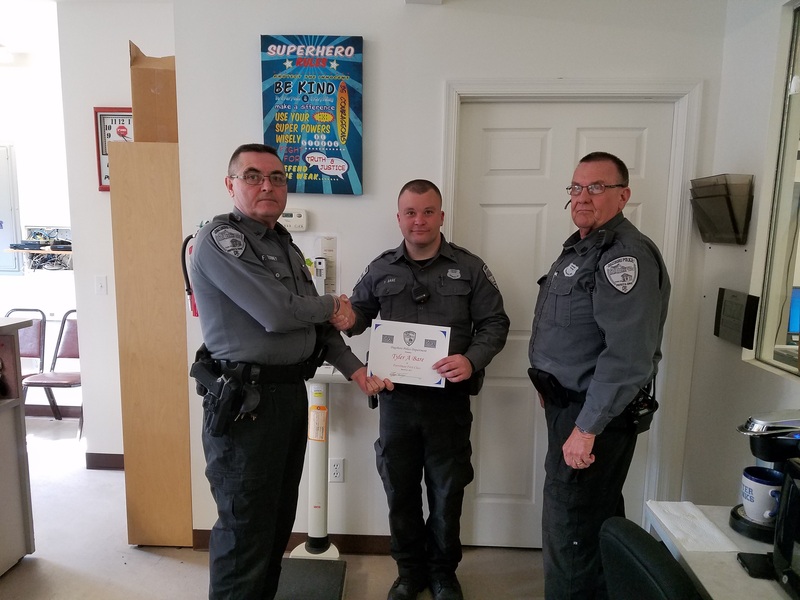 This award was for his meticulous and impartial enforcement of the law during the period February 2018 to January 2019. 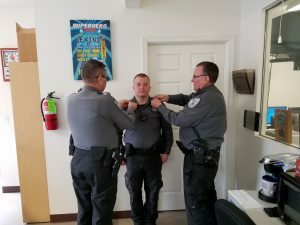 His efforts lead to an overall performance exceeding 1,000 Criminal and Traffic Arrests with a conviction rate greater than 85%. 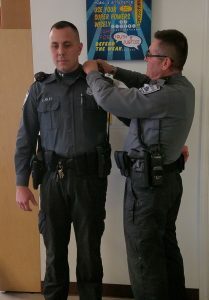 The Dagsboro Police Department also promoted Patrolman First Class Disciullo to Lance Corporal effective February 01, 2019. On June 6, 2017, Dispatch alerted multiple agencies to a dangerous dog actively attacking a DE Animal Control Officer. 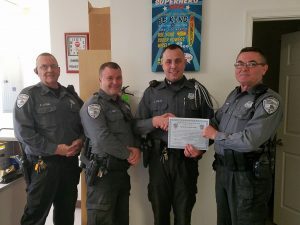 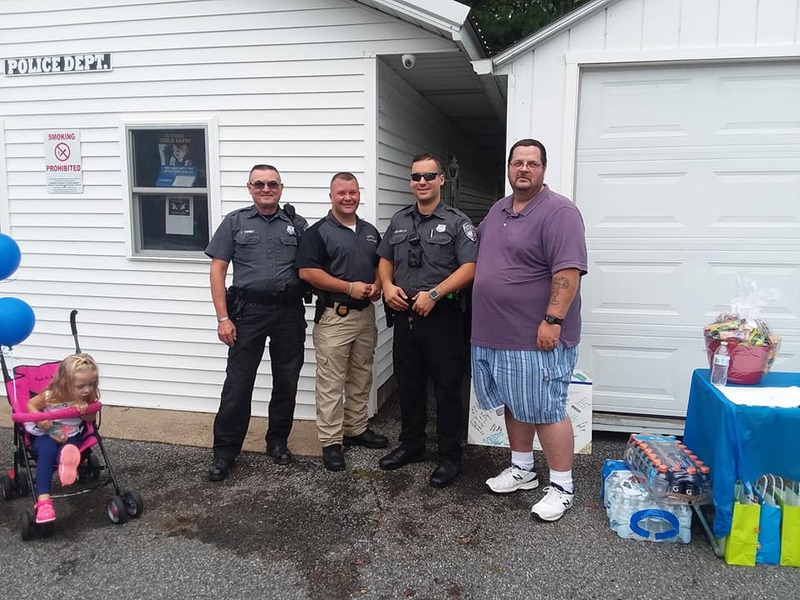 Patrolman Tyler Bare was the first to arrive on scene and observed the Animal Control Officer being actively and viciously attacked by a pit bull. Officer Bare immediately engaged the animal which only increased the ferocity of its attack. Fearing for the safety of the victim, Officer Bare took careful aim with his service weapon and euthanized the animal. 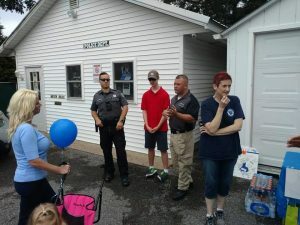 The attack resulted in the Animal Control Officer having severe lacerations and tears on multiple areas of her body. 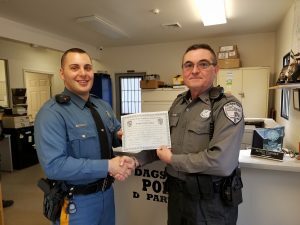 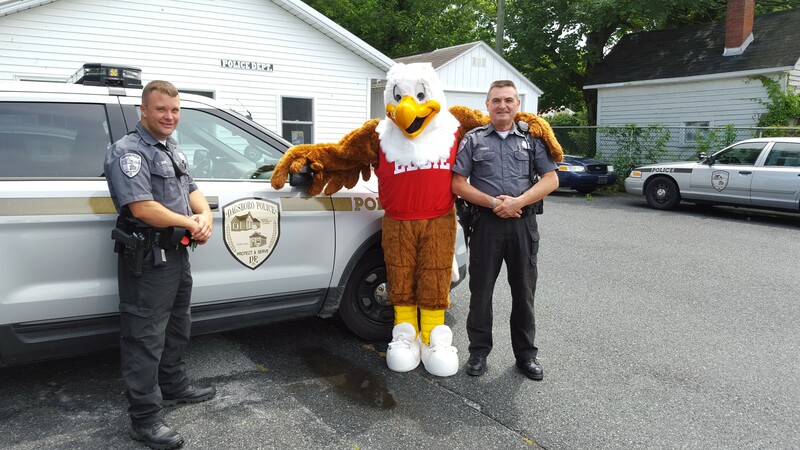 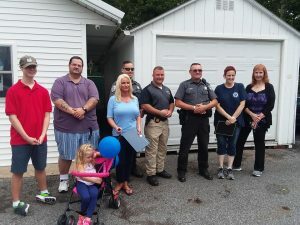 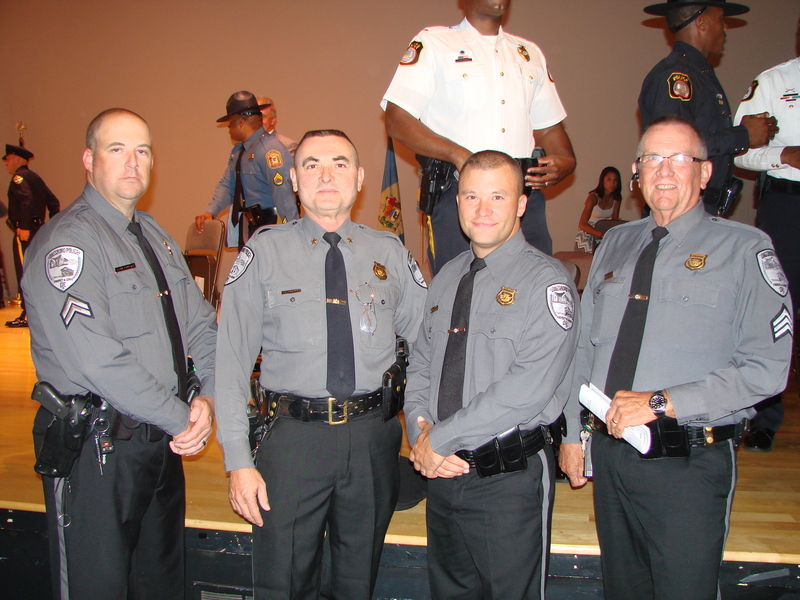 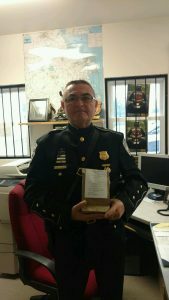 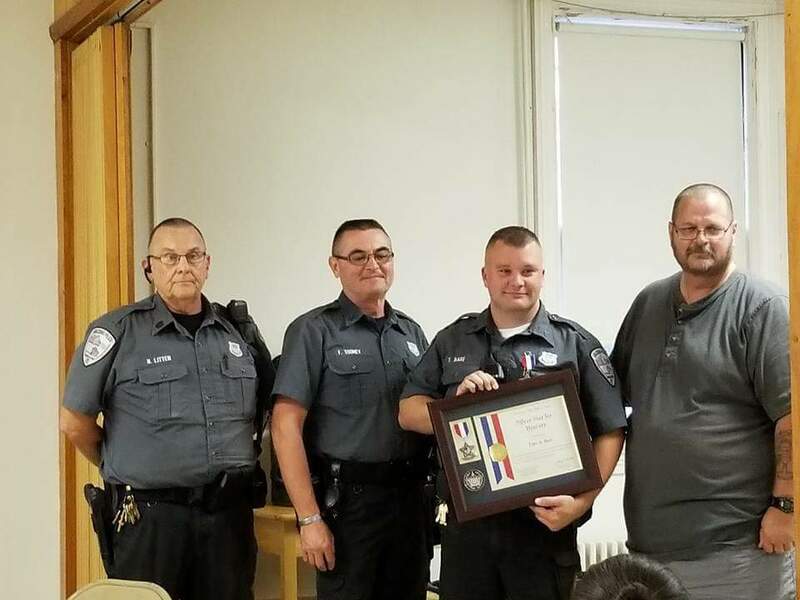 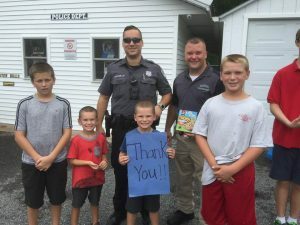 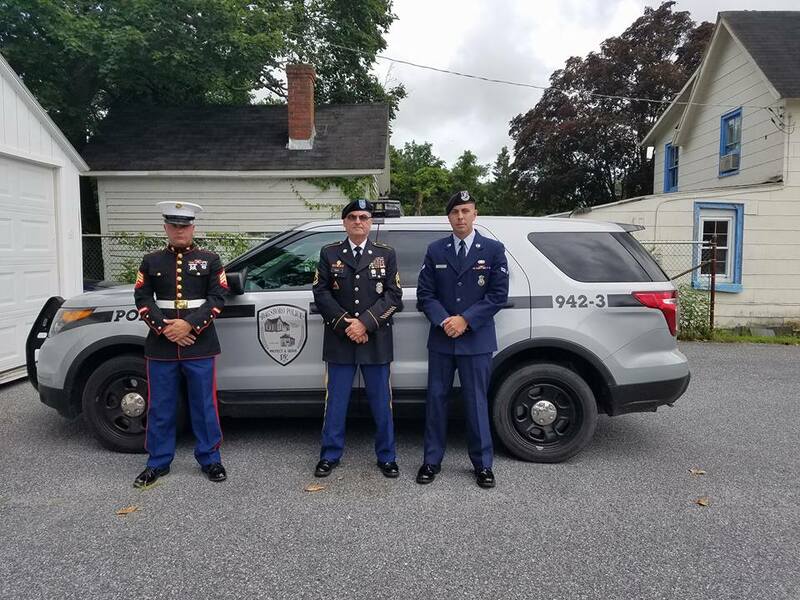 Patrolman Bare’s professionalism, diligence and bravery reflects great credit upon himself, the Dagsboro Police Department and Delaware Law Enforcement. June 27, 2017: Chief Toomey presented Certificates of Appreciation to Probation and Parole Officers for their assistance in apprehending a wanted suspect. May 29, 2017: Chief Toomey was presented the Survival Kit for Law Enforcement Officers by the Girl Scouts of the Chesapeake Bay Troop 234, Selbyville, DE. 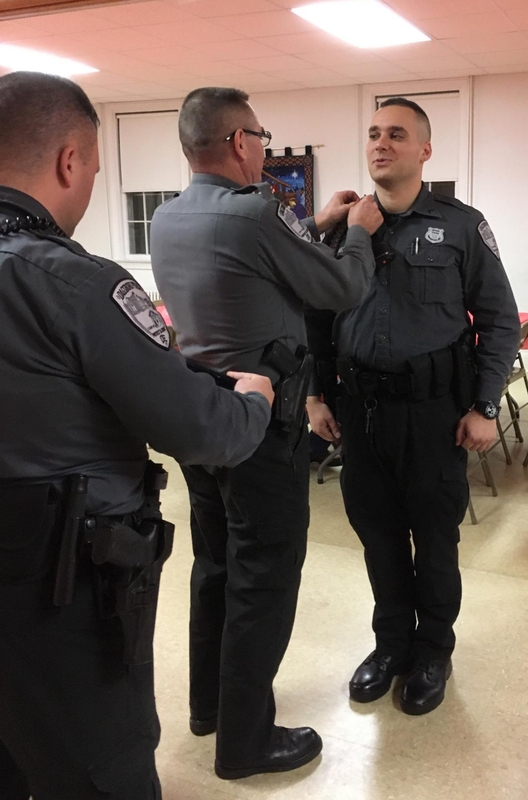 March 20, 2017: Patrolman Joles received the Dagsboro Police Expert Officer Cord for his meticulous and impartial enforcement of the law. 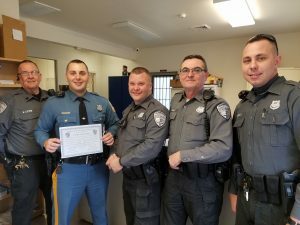 His efforts lead to an overall performance exceeding 600 Criminal and Traffic Arrests with a conviction rate greater than 85%. 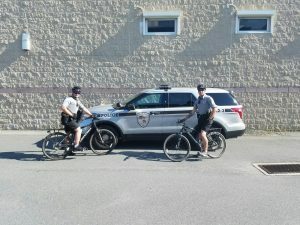 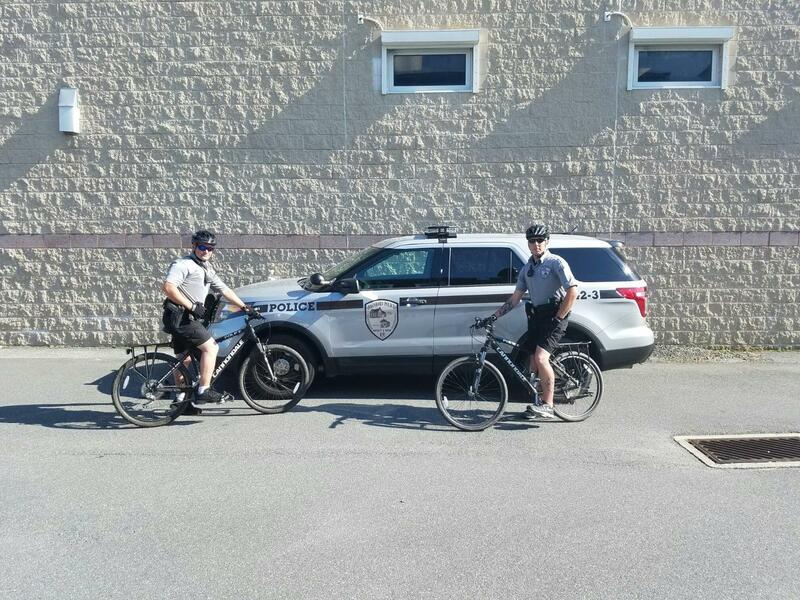 These arrests resulted in the overall success of the Dagsboro Police Department and their mission of Public Safety. 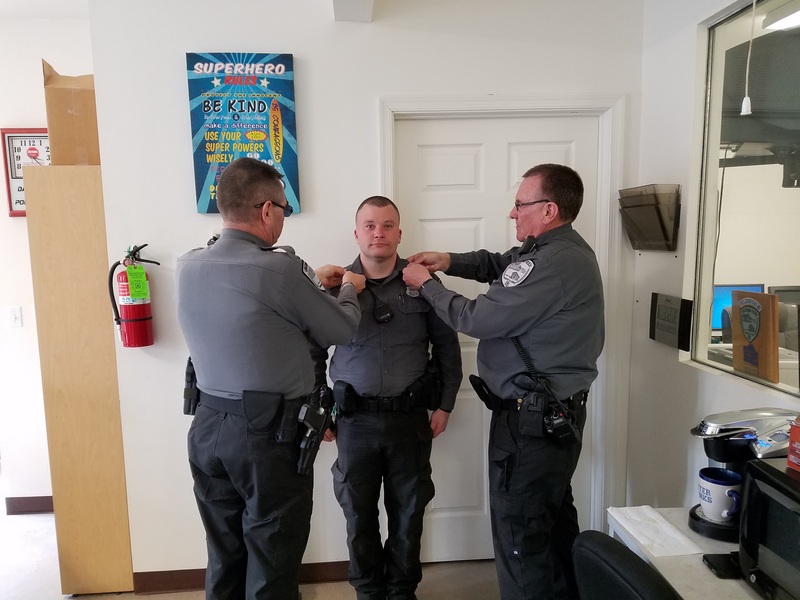 On March 1, 2017, Patrolman Bare was promoted to Patrolman First Class. Trooper Corliss Talley DSP Troop #4 receives the Dagsboro Police Department Certificate of Appreciation for his actions while assisting the Dagsboro Officers on July 06, 2016 during the flight and apprehension of a violent felony suspect. 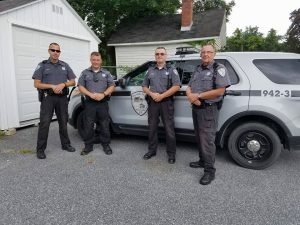 Resulting in the subjects arrest for possession of 213 bags of heroin, 2.1 grams of crack cocaine, 6.6 grams of marijuana and numerous traffic violations.